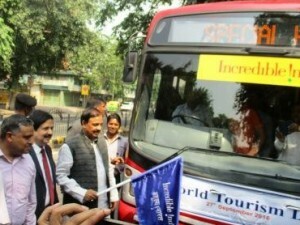 On occasion of World Tourism Day, the Ministry of Tourism organised a special sightseeing tour of the monuments and heritage places of Delhi where 35 differently abled students from of Deen Dayal Upadhyaya School for Divyang Children participated. The World Tourism Day theme was ‘Tourism for All – Promoting Universal Accessibility’ on which Dr. Mahesh Sharma said, “Accessible Tourism for all is about the creation of environments that can cater for the needs of all of us, whether we are traveling or staying at home. May that be due to a disability, even temporary, families with small children, or the ageing population, at some point in our lives, sooner or later, we all benefit of universal accessibility in tourism.” Vinod Zutshi, Secretary, Ministry of Tourism said, “On this year’s World Tourism Day help us spread the word of both the importance and immense benefits universal accessibility has and can bring to society at large.” The celebrations continued with an awards presentation acknowledging the efforts of the Ministry of Tourism offices and its organisations, where India Tourism, New Delhi held a painting competition. Finally, the minister flagged off the ‘Swacch Paryatan Run’ from Transport Bhawan to India Gate, New Delhi in an effort to promote cleanliness and the Clean India campaign. Ministry of Tourism’s maiden Incredible India Tourism Investors’ Summit 2016 kicked off in New Delhi. 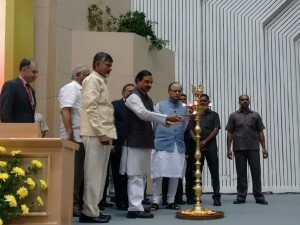 Arun Jaitley, Union Minister for Finance and Corporate Affairs inaugurated the three-day summit. Dr. Mahesh Sharma, Minister of State (I/C) for Tourism & Culture delivered the key address. Andhra Pradesh Chief Minister N. Chandrababu Naidu also addressed the audience on the occasion. It is an initiative of the Ministry of Tourism, Government of India, in association with Tourism Finance Corporation of India (TFCI) and Confederation of Indian Industry (CII). IITIS is a platform for domestic and international investors to meet project owners from across Indian states and the private sector. Highlights of this summit will be state presentations encompassing all investible properties, session on “Why invest in India?,” MSME in tourism sector, panel discussions on core infrastructure for tourism, session on start-ups, digital India, investing into Swadesh Darshan, PRASAD, MICE and niche tourism products, B2B meetings and signing of MoUs. Four Knowledge Partners i.e. Ernst & Young, KPMG, Yes Bank and Invest India will assist States and UTs for identifying projects, suggesting tourism policy updates and presenting these to the potential investors during the summit. Around 250 domestic and overseas investors are set to participate in the summit. More than 2000 delegates have registered for the event. The Ministry of Tourism (MOT) is observing a Swachhta Pakhwada (cleanliness fortnight) from September 16-30, 2016, to create awareness of the need for cleanliness in all walks of life. The officers and staff of MOT will undertake cleaning of 10 pre-selected tourist sites in the afternoon during this period. In addition to the cleaning, the officers and staff will carry out cleaning in and around Transport Bhawan and C-1 Hutments and weeding out of old documents and files to achieve ‘Swachh’ office environment. An essay competition on the topic of cleanliness will be organised on September 24 in English and on September 25 in Hindi. Considering the importance of September 27 being the World Tourism Day, MOT will organise a ‘Run for Swachh Paryatan from Transport Bhawan to India Gate with the participation of the public, students and faculty of the Institutes of Ministry of Tourism as well as the officers and staff of the Ministry. Awards and Appreciation Certificates would be distributed on World Tourism Day to the best maintained or cleanest offices at head quarter, regional and domestic offices of MOT to acknowledge and encourage the efforts made towards cleanliness. 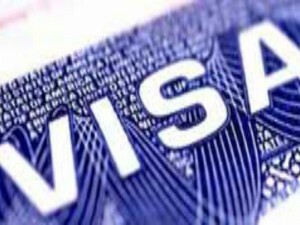 The Ministry of Tourism (MOT) will soon be providing SIM cards for tourists who avail the e-Tourist Visa (eTV) services, informed Vinod Zutshi, Secretary, MOT, Govt. of India. “We are in talks with a few service providers to partner with us for this and it will be launched very soon,” he said. Referring to the proposed eTV for MICE, he said that eTV for business tourists will most likely be rolled out first. He added the department is still working on other proposed amendments in eTV, such as modifying single-entry to multiple & extension of eTV application duration from 30 to 60 days. The Ministry of Tourism (MOT) has formed a task force with the Ministry of Civil Aviation (MoCA) to address and simplify regional connectivity scheme. Vinod Zutshi, Secretary, MOT, Government of India, said, “By working together, we aim to make travelling for tourists much simpler especially for those who opt for the different theme based circuits.” A meeting was held last week between the two ministries to discuss the particulars and address complications that may arise. This would also simplify travel for the transnational Buddhist Circuit which is in the pipeline and has recently been approved.